BNY Mellon and BlackRock have agreed to a landmark partnership to provide mutual clients data across the front-to-back office. 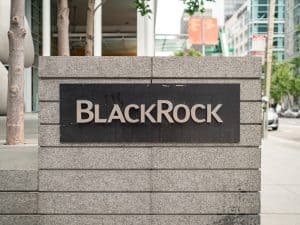 The alliance will involve integrating BNY Mellon’s data insights, accounting and asset servicing tools to BlackRock’s Aladdin, one of the industry’s widest-used investment and operating platforms. “The combination of Aladdin’s capabilities with BNY Mellon’s data and tools will further enable our common clients to access their investment management and servicing capabilities on one platform. Both firms have already demonstrated the value of enhanced technology and servicing integration over the years,” said Rob Goldstein, chief operating officer and head of BlackRock Solutions. BNY Mellon and BlackRock will also work together on new solutions to provide mutual clients additional flexibility and insights through the investment lifecycle, from the front-office to operations and accounting. Speaking to The TRADE’s sister title, Global Custodian, Hani Kablawi, CEO of BNY Mellon’s global asset servicing business, said the move advances the bank’s strategy of becoming a central point for clients to access their own data. “What this partnership does, following on from what we have said is our strategy of open architecture, is it allows us to give mutual clients access to their own data, via Aladdin, and it is data that can now be accessed intra-day, near real-time,” said Kablawi. BlackRock has been vocal in positioning Aladdin as a key component to creating efficiencies with its custody bank partners. 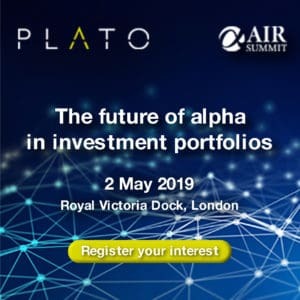 JP Morgan’s record $1 trillion custody deal with BlackRock allowed it to integrate its Athena system with Aladdin, and link up directly to its other custody clients connected to the platform. Connecting to Aladdin will enable BNY Mellon to deliver a seamless end-to-end optimisation of the trade flow for mutual clients. Aladdin provides risk analytics and portfolio management services to $18 trillion of financial assets, mostly through licenses to institutional investors. “It provides a new dynamic to risk managers, distribution leaders and portfolio managers because we are enabling them with data that previously they might not have had easy access to,” Christine Gill, global head of asset manager solutions, for BNY Mellon told Global Custodian. 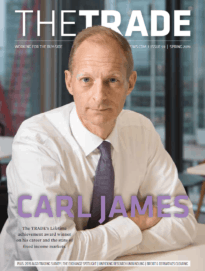 The collaboration is the latest example of global custodians moving into the front-office, as they look to utilise the mountains of trade data they hold in order to provide support for investment managers. The partnership can also be viewed as a direct response to meet the challenge posed by State Street, and its $2.6 billion takeover of front-office technology specialist Charles River Development last year. State Street is currently developing its One State Street model to provide a full front-to-back office operating model using Charles River Investment Management System and its data services.